15 When Joseph’s brothers saw that their father was dead, they said, “It may be that Joseph will hate us and pay us back for all the evil that we did to him.” 16 So they sent a message to Joseph, saying, “Your father gave this command before he died: 17 ‘Say to Joseph, “Please forgive the transgression of your brothers and their sin, because they did evil to you.”’ And now, please forgive the transgression of the servants of the God of your father.” Joseph wept when they spoke to him. 18 His brothers also came and fell down before him and said, “Behold, we are your servants.” 19 But Joseph said to them, “Do not fear, for am I in the place of God? 20 As for you, you meant evil against me, but God meant it for good, to bring it about that many people should be kept alive, as they are today. 21 So do not fear; I will provide for you and your little ones.” Thus he comforted them and spoke kindly to them. Even though Joseph and his brothers have already been reunited, they have not experienced reconciliation until now. You cannot experience true reconciliation until there is true forgiveness. Forgiveness must be felt. It was not enough for Joseph to offer forgiveness, it was imperative that his brothers felt this forgiveness and were willing to receive it. It is obvious from this passage that Joseph’s brothers did not truly believe they were forgiven. In fact, they were convinced that Joseph was merely pretending to forgive them for the sake of their father Jacob. Even though Joseph forgave his brothers almost fifteen years earlier, they were still convinced that Joseph was holding onto a grudge as he waited for the right time to exact his revenge. Although this could be tempting for many of us, Joseph understood that revenge belongs to God. To truly forgive someone is to fully relinquish your right to punish them for the wrongs they have done. To forgive someone is to completely cancel their debt. Refusing to forgive is to put yourself in the place of God. An unforgiving heart says that God’s wrath is insufficient. For the unbeliever, we are saying that eternity in hell is not enough. For the believer, we are saying that Christ’s death on the cross is not enough. In other words, we are saying that God’s standards may be satisfied, but our standards are higher than his. 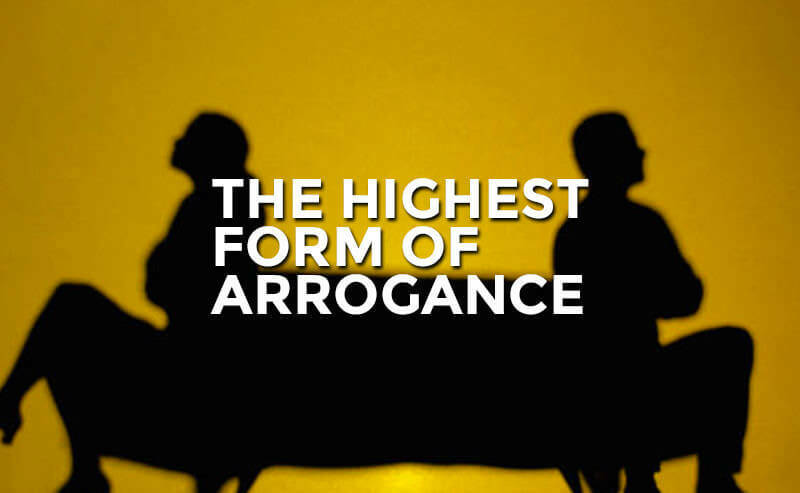 Refusing to forgive is one of the highest forms of arrogance. It is to say that our sin is forgivable, but the sins of others are not.